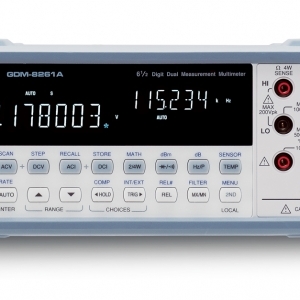 GW Instek has launched the new Model GOM-804 and GOM-805 D.C. Milliohm meter which feature 3.5-inch TFT Display, 50,000 counts measurement display, the rapid sampling rate of 60 readings per second, optimum 0.05% measurement precision, four wire measurement method as well as the temperature measurement and temperature compensation measurement function to meet the requirement of low resistance measurement application. The GOM-805 also includes various drive modes and Dry circuit for contact resistance measurement applications. More features, including 20 sets of panel setting memory and many external control interface such as RS-232C, USB, Handler/Scan/EXT IO or GPIB (option), greatly elevate GOM-804/805 milliohm meter’s convenience on practical applications. The GW Instek Model AFG-3000 series Arbitrary Function Generators, including 20MHz/30MHz single channel and dual channel models, are designed to meet industry, scientific research, and education applications. In the design of isolated output, all output channels are earth ground isolation, which is suitable for test applications of floating circuit. For instance, connecting an AFG-3000 with a power supply’s DC voltage, the maximum AC-DC cascaded output reaches +42V or -42V. Each channel of dual channel models can be operated independently or multi units can simultaneously function without taking grounding reference into consideration. Applications are, for instance, the ignition control or transmission device of automotive electronics. The series features sample rate of 250MSa/s, 16-bit resolution, and 8M point memory depth for arbitrary waveform generation. Users not only can save the edited waveforms to the memory to build arbitrary waveforms, but also rebuild waveforms by the AFG-3000’s built-in DSOLink function with a GW Instek digital storage oscilloscope. The GW Instek AFG-3000 Series is Arbitrary Waveform Generator designed for industrial, scientific research and educational applications. The series comes in bandwidths of 80MHz (AFG-3081) and 50MHz (AFG-3051) with built-in multiple standard waveforms to meet users’ diversified needs.